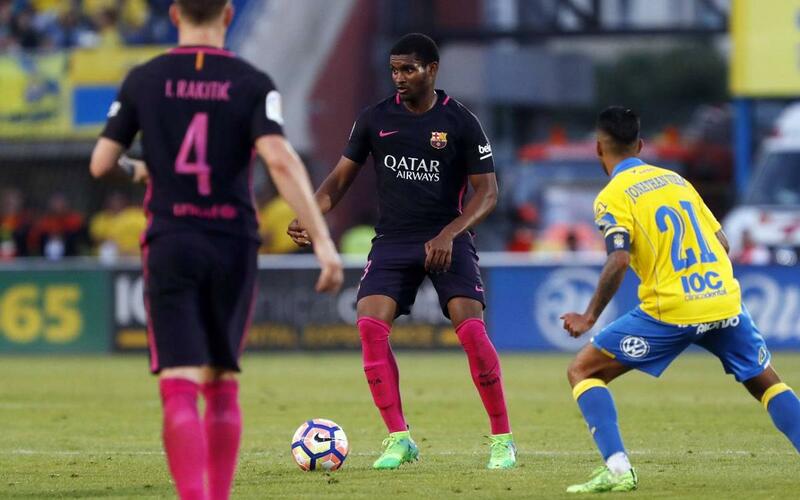 21 year old Marlon Santos, the Barça B centre back, made his league debut with the first team this Sunday in the 4-1 win over Las Palmas in the Canary Islands. The Brazilian had already made his debut in the Champions League this season against Celtic for Luis Enrique’s side before starting for the first time in the league due to Javier Mascherano pulling up in the warm up in the Estadio Gran Canaria. “I had to give my best. I work hard all week for chances like this and I think I was ready,” said Marlon Santos, adding that the game had been a ‘unique opportunity’ for him. “I thank Luis Enrique for the opportunity that he gave me. Umtiti and Ter Stegen helped me too relax as well.